The Town of Brattleboro wanted to save money and found it could do so by boosting it’s recycling rate. The next step in reducing the amount of trash is to remove food scraps from the waste stream. Landfills will also have a shorter life if filled with food waste, which also produces methane gas as it decomposes in landfills. Food scraps, having a lot of water content are heavy, adding to the cost of hauling away trash. The logic is simple: diverting food scraps from the waste stream will result in cost savings. At the current $105 per ton tipping fee and 200 mile trip to the only available landfills, removing food scraps from the waste stream can result in significant savings. The food waste is carted to the Windham Solid Waste Management District facility on Old Ferry Rd, mixed with brown leaves and other matter to help break it down and turn it into a very nutrient compost that can be sold for use on lawns and gardens and if sufficient quantity is produced, for bank stabilization on highways. The pilot project started last Fall with 150 participants to test a variety of containers and to try to get the word out about the program. 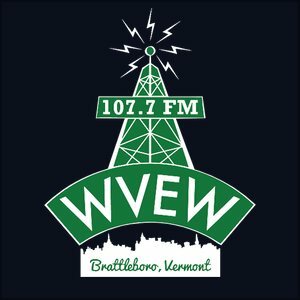 There is a link on the right hand front page of the Town website,www.Brattleboro.org, for curbside compost signup and an FAQ about the program. A new flyer  describing the program is now available. Kitchen containers that are designed to be used with compostable bags will also be available. The MaxAir Composting Bucket is the kitchen counter top type container made by Bio Bag USA http://www.biobagusa.com/ The Max Air bucket using compostable bags allows for air flow which dries out the food waste thereby reducing odors. Bio Bag makes compostable bags for the container. One could also freeze the bags containing food waste until ready to dispose of. Another manufacturer of compostable bags is Gladhttp://www.glad.com/trash/recycling-bags/compostable-small-kitchen-bags/ Bags are available at the Coop, Brown & Roberts and True Value. Outreach to Price Chopper and Hannaford is being done. It is crucial to use BPI certified compostable bags http://www.bpiworld.org/ Bags that are termed “biodegradable” are not compostable; they merely degrade into bits of plastic. Six different types of counter top bins were tested during the pilot. The Bio Bag Max Air was selected for the distribution. While specific countertop bins and carts are not required to participate in the program, the carts used at curbside must have rigid, tight fitting lids to keep animals out. Commercial composting temperatures can exceed 160° for three days, high enough to kill pathogens in kitty litter, making the resulting compost safe for use in vegetable gardens. This week’s poll is all about compost disposal… how is compost going for you? We’ve been using our indoor composting machine for a couple of years now and are seeing the results in the garden this year. Many worms have found their way to it, plants are looking very happy, and we got blooms out of old daffodils that we had given up on a few years ago. The original plan was to use it at the community garden, but just as we got going with compost, the Retreat took the land back and the community garden was no more. Instead of helping to feed food plants, we started using it on our other plants instead.